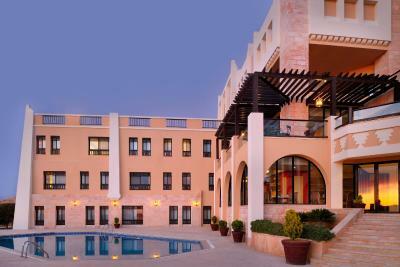 Lock in a great price for Petra Marriott Hotel – rated 8.4 by recent guests! 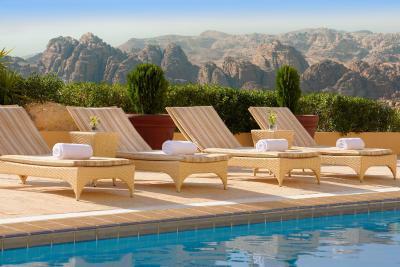 We really enjoyed our stay at the Petra Marriott Hotel. Location is amazing and the view is impressive. 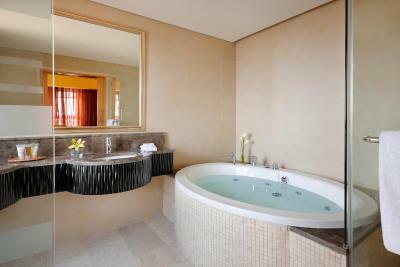 Rooms are very comfortable with fluffy towels and all the needed toiletries. Breakfast is delicious and the service impeccable. 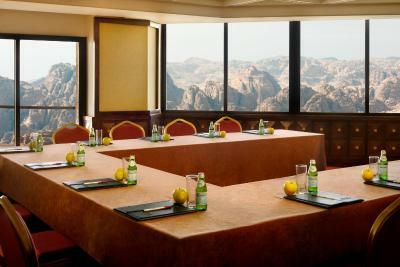 We would recommend staying at the Petra Marriott hotel. 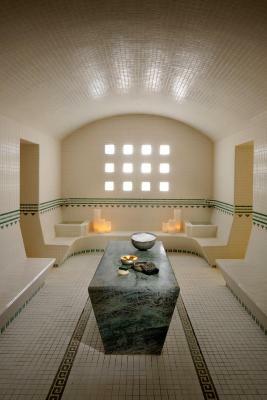 The SPA was really good staff was warm and efficient easy parking. Great view from room, excellent breakfast, great hospitality. Staff are very helpful especially with families. Always eager to help. It was smooth sailing all along. They thought of everything we could need before we even thought of it. The view from our rooms was fabulous! Both rooms were very well maintained. Staff was courteous and very helpful. 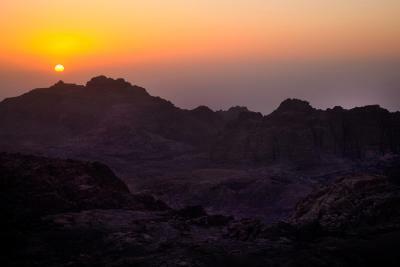 It was perfect to come back to after long and hard treks in the mountains of Petra. The staff were very friendly and helpful. The breakfast was great. 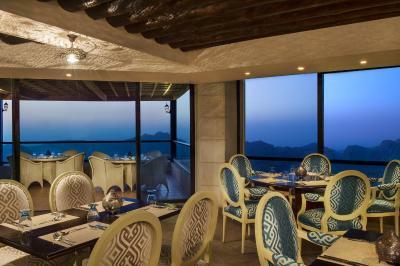 Petra Marriott Hotel This rating is a reflection of how the property compares to the industry standard when it comes to price, facilities and services available. It's based on a self-evaluation by the property. Use this rating to help choose your stay! 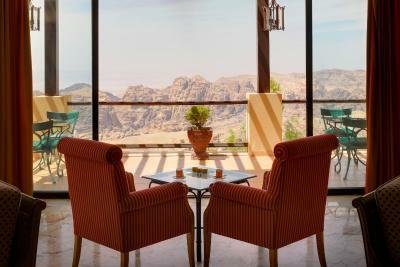 Featuring an outdoor pool and a restaurant, the Marriott Petra Hotel is in Wadi Musa. Free Wi-Fi access is available in public areas. The rooms here have a flat-screen TV, air conditioning and a minibar. Featuring a shower, the private bathrooms also include a hairdryer and a bathrobe. Some rooms have a mountain view. 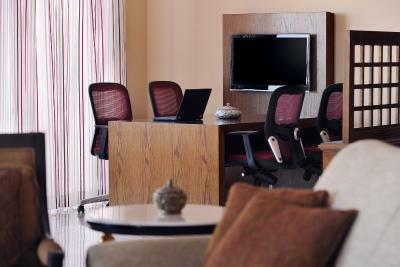 Extra facilities include a sitting area and cable channels. 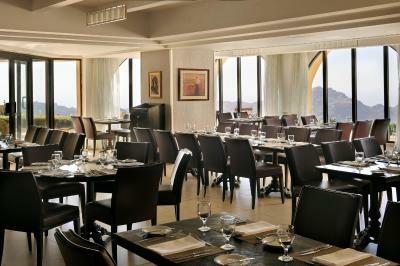 At the Marriott Petra Hotel, there is both a buffet and a sit-down restaurant. 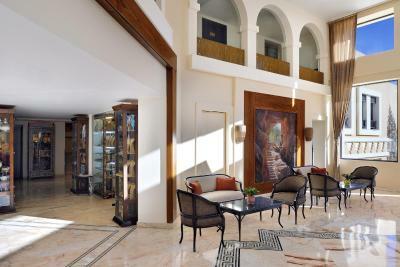 The property also includes meeting facilities, luggage storage and shops on site. The hotel is 2.2 miles from Petra, just over 1 miles from Obelisk Tomb and 1.5 miles from the College of Archaeology, Tourism and Hotel Management. 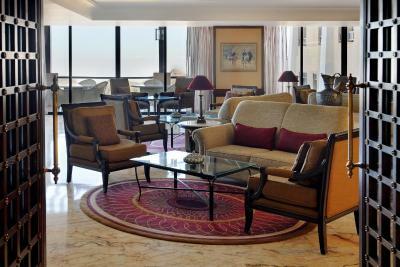 When would you like to stay at Petra Marriott Hotel? 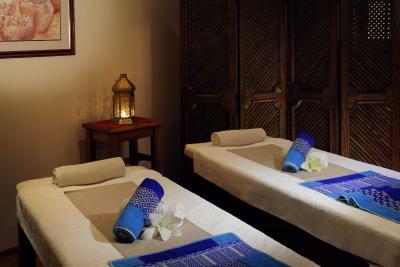 This spacious, air-conditioned room includes a seating area with a flat-screen satellite TV and a mini-bar. Each has a private bathroom with bathrobes, slippers, and a hairdryer. 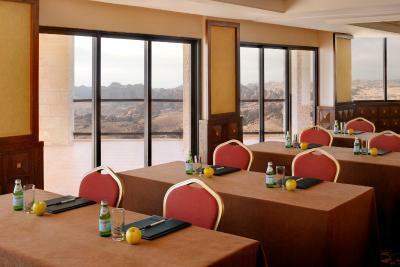 This room provides panoramic views of Petra Valley. 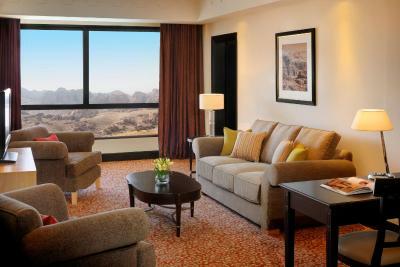 Extra large room providing panoramic views across Petra valley and featuring a spacious seating area with couch. 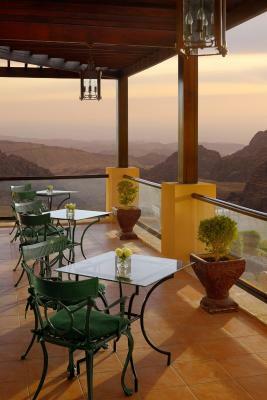 Petra Marriott Hotel overlooks the Petra Valley and offers first-class service and amenities. The hotel features 1,790 square feet of event space, spacious guest rooms with in-room safe and mini-bar and various restaurants to choose from. 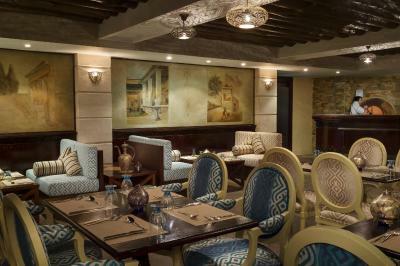 House Rules Petra Marriott Hotel takes special requests – add in the next step! Petra Marriott Hotel accepts these cards and reserves the right to temporarily hold an amount prior to arrival. Although it goes into the cathegory of 5 star luxury hotels, Marriott does not provide quite a luxurious accomodation. 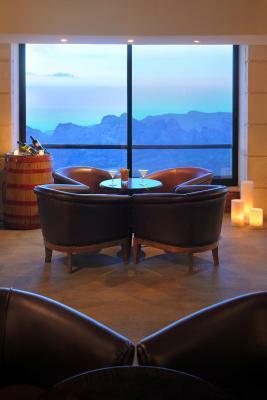 It is a standard 5 star facility with nothing specially memorable except for the view. Overcharged by the bar staff. Our dinner table reservation was ignored. No safe in bedroom (replaced quickly but they didn’t have a clue that it wasn’t there). The welcome we got when we checked in was very friendly. Super location of the Hotel. Everything perfect! 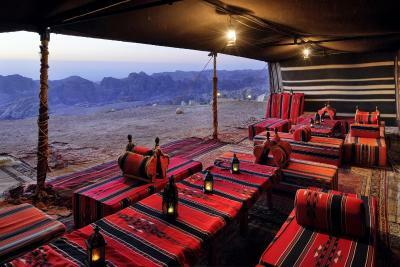 We booked the Petra Valley view room, it wasn't value for money. 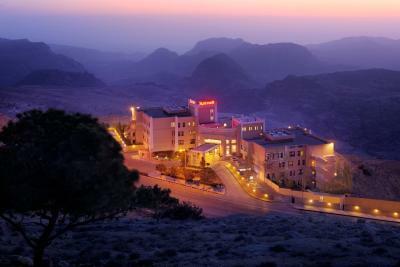 The hotel has nice view of wadi musa.